Hi everyone!!! I was looking for mermaid scales or fish scales but they’re no where to find here in PH. So I decided to just use the lace stamping design! Hope you guys love it!! I simply used the sponge technique with my Blue Glitter Polish and Silver polish. 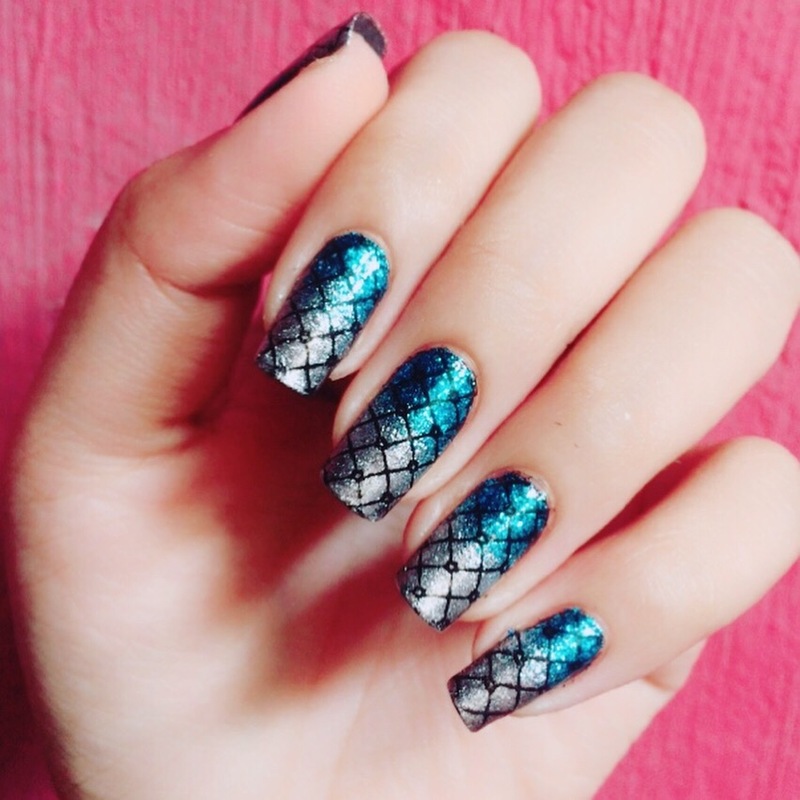 Then add the Lace design (Since I can’t find the mermaid stamp design or the nail vinyls. If any of you guys know where to find them here in Philippines, please comment down below 😊). Then finally add a quick dry top coat. Glitter polish are mesmerizing right? !